Because Whole Foods Markets believes that what you put on your body is as important as what you put in your body, it created a section in each of its stores called Whole Body dedicated to helping you look and feel your best, inside and out. 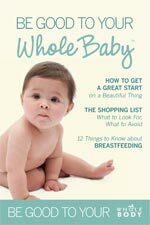 As a part of Whole Foods’ Whole Body™ program, they’ve created a pocket guide on how to Be Good to Your Whole Baby™ for expectant mothers filled with tips from what to eat while pregnant to your baby’s first foods. We thought its spa and wellness tips for both mom and baby were great, whether you’re expecting or not! Exercise* at least 30 minutes a day, per The American College of Obstetricians and Gynecologists to support strength and health in your body’s posture, back, digestive system, mood, energy, sleep and muscle tone. Ask your practitioner which exercises are best for you. Read more about how to try a new fitness safely and get some tips on the best foods to eat before and after a workout. Yoga* can provide multiple benefits at the same time: exercise, relaxation, strengthening, stretching and preparation for later pregnancy, labor and childcare. Always do your research and consult experts on which poses are OK for each stage of pregnancy. Learn more about yoga. 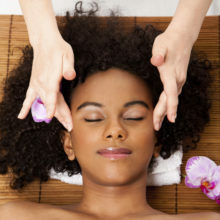 Massage* is not just a pampering break, but may also promote a positive mood and comfortable, relaxed muscles and joints. Read more on healthful reasons to de-stress with a massage and find out which massage modality is right for you. 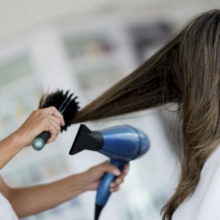 Body Care Products can contain harsh ingredients that can be absorbed and may not be the best for the child inside you. 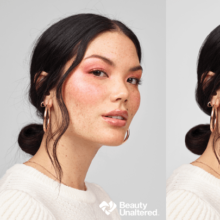 Look for a high percentage of naturally beneficial ingredients, avoid synthetic scents and dilute products containing 100% pure essential oils in equal parts with unscented varieties. Whole Foods’ Premium Body Care symbol indicates a safer alternative. Aromatherapy may be helpful, but only 100% essential oils provide benefits, and synthetic scents may be harmful. Before using essential oils, always consult your practitioner, and research varieties and usage specific to your stage of motherhood. For example, during pregnancy, avoid essential oils of cedarwood, citronella, marjoram, myrrh, rosemary, rose, clary sage, lemon balm and peppermint. Never use essential oils directly on skin. Read more about how aromatherapy works. Home Environment: When the baby’s endocrine system is vulnerable and major organ systems are developing (especially during the first trimester), you may want to reduce exposure to potentially harmful chemicals in household cleaning products and air fresheners, lawn and garden products, paints, glues, new carpet and cigarette smoke. Why expose your child—or yourself—to these things at any age when there are plenty of safer alternatives? *Experts Say…that during pregnancy and while nursing, connective tissue is softer than usual due to the hormone relaxin (which relaxes the uterus), so be careful about overdoing it when stretching in any type of exercise. Thanks, Whole Foods, for the great advice! Do you implement any of these practices yourself and if so, what precautions are you careful to take?